Russian born, naturalised French and later American citizen, Igor Stravinsky made a triumphant return to the USSR for three days in October of 1962 at the invitation of Khrushchev. In concert, he conducted Apollon Musag�te and the Song of the Volga Boatmen. This disc celebrates that historic visit. 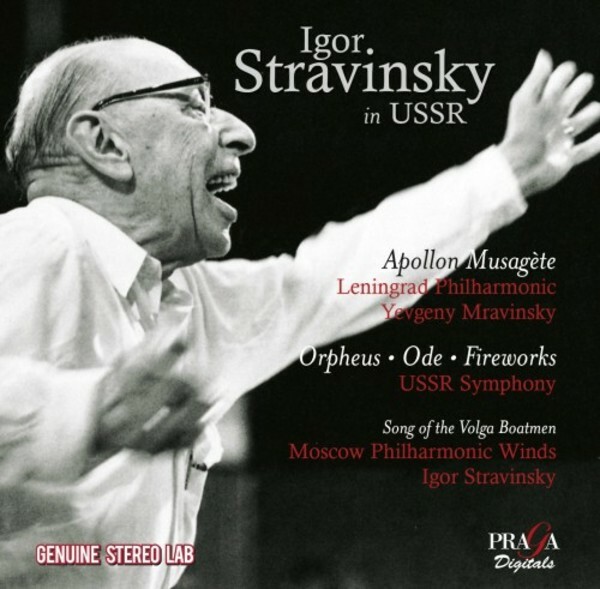 Also featured here is Yevgeny Mravinsky leading the Leningrad Philharmonic Orchestra in Stravinsky's Orpheus, Ode and Fireworks.